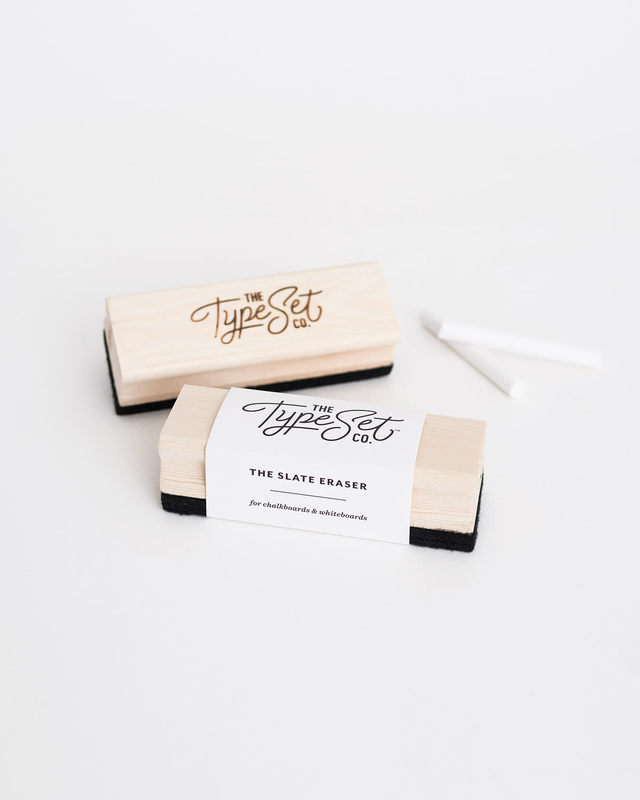 Wipe your slate clean with our high-quality, felt eraser. Features chunky, pine wood handle and black felt pad. Use with classic chalk or dry erase markers on any of our boards.